Mitch is a senior at Indiana University from Zionsville, Indiana. He will be graduating this spring with degrees in Real Estate and Finance. His grandfather, a pilot himself, inspired him to pursue aviation at a young age. Mitch began flight training at age 15 and he has since attained a commercial license. His most memorable flight was along the coast of Ft. Myers beach with his grandpa in the right seat. He will continue to pursue his passion for aviation when he begins his career at Textron Inc. in July. The only non Indiana native, Calvin calls North Palm Beach, FL home. He is a graduating senior at Indiana University with degrees in Finance and Real Estate from the Kelley School of Business. He credits his initial interest in aviation to his grandfather, who was a fighter pilot in the United States Air Force for 30 years. In high school, Calvin was gifted a discovery flight for Christmas and immediately began flight training thereafter, receiving his official license in January of 2015. Beginning this July, he will remain in the aviation and aerospace industry by joining the Financial Leadership Program with United Technologies Corporation. Calvin is very proud he can be apart of a journey that will impact so many young students who are looking to pave their own path into this world of aviation that we have all learned to love. Hailing from the small town of Loogootee, Indiana. Adam is a graduating senior at Indiana University studying Finance, Real Estate, and Entrepreneurship through the Kelley School of Business. 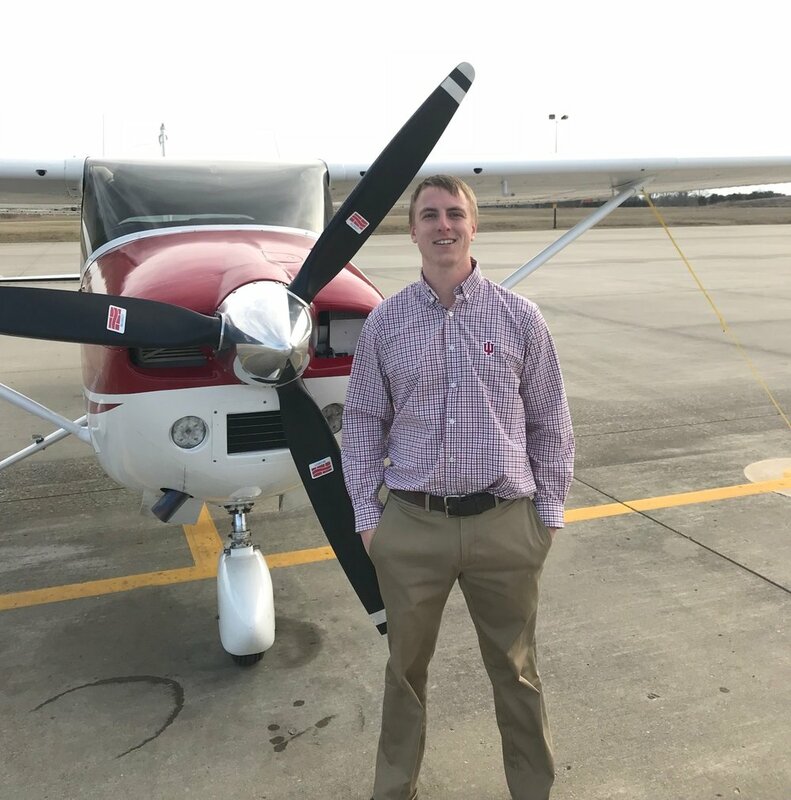 While the only non-pilot of the crew, Adam developed an interest in aviation after taking a discovery flight during his junior year at Indiana. He intends to pursue his pilots license upon graduation.